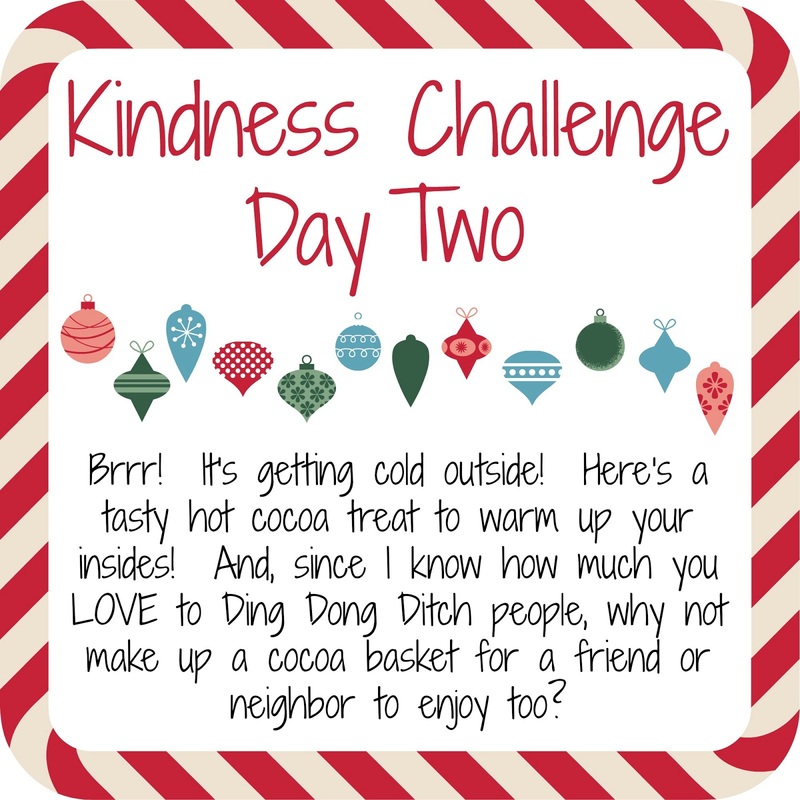 While I'm Waiting...: An Elf Kindness Challenge + free printables! An Elf Kindness Challenge + free printables! It's no secret that I love having an Elf on the Shelf. I love the magic, the joy, and the happiness that this little elf brings each day. But, I also like to keep our focus on the true meaning of Christmas so a few weeks ago when I saw Courtney DeFeo's new Light 'em Up video, I knew that I had to share it with Holden. 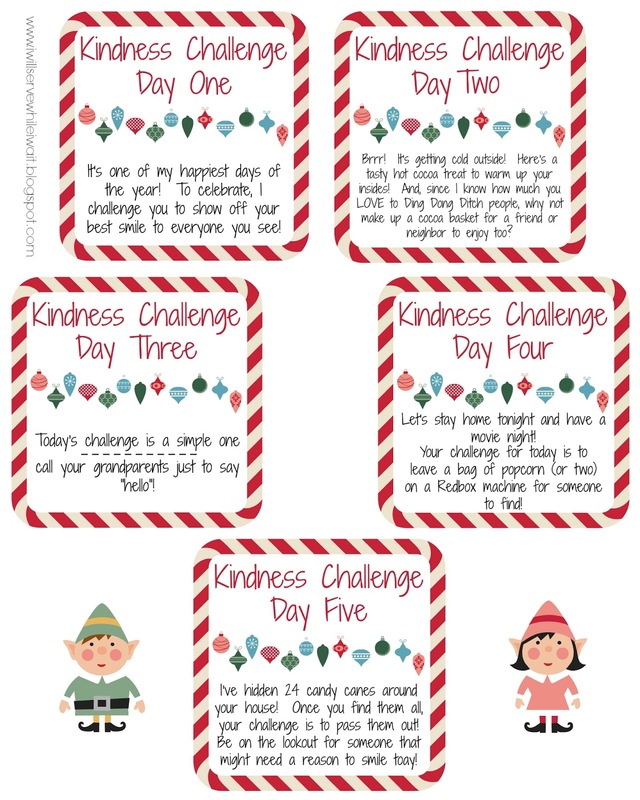 I planted the seed that maybe she should talk to our elf, Waldo, and see if he could bring kindness challenges with him each day. She LOVED that idea and quickly wrote him a letter. When Waldo finally showed up on December 1st guess what he brought?! That's right! 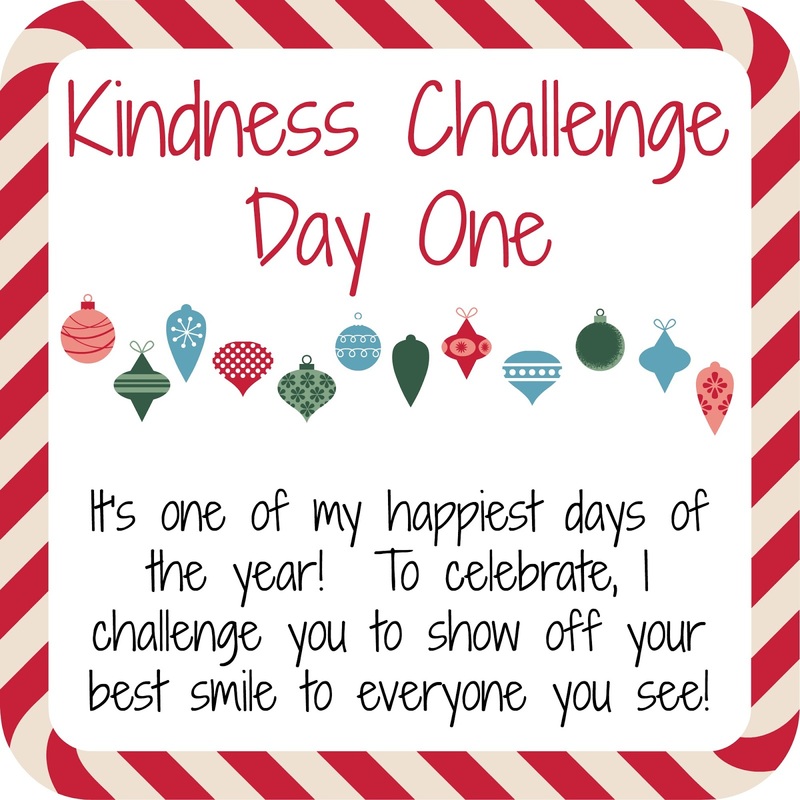 He brought a kindness challenge and he's going to continue to bring a challenge each day until Christmas Eve! I post Waldo's adventures on Instagram and a few people have asked me if I would share the kindness cards. Absolutely!!! 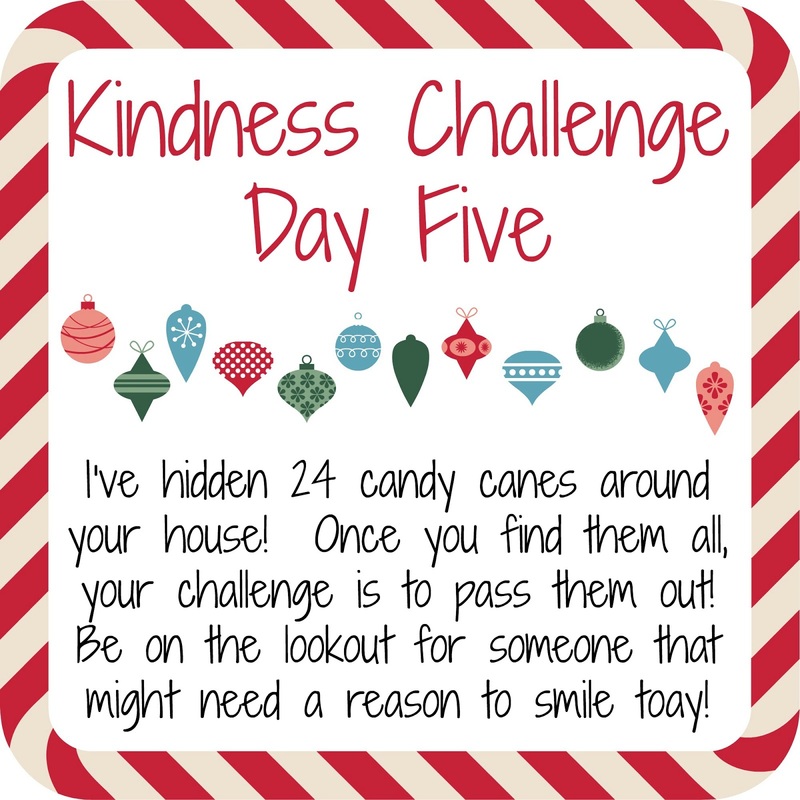 Today you will find the first five days of Waldo's Kindness Challenge and I'll be sharing the rest over the next couple of days. Enjoy! Day One - Waldo always shows up in the same exact spot each year! He knows the kids would be looking all over the house for him days before his actual return if he didn't! Waldo likes to keep things simple! 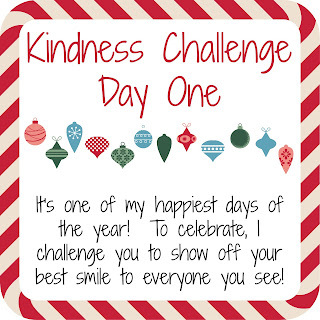 He also kept our Day One Kindness Challenge easy - to show off our best smile to everyone we see! Day Two - Waldo's hiding spot proved to be a little more difficult than day one - he hid in our dish cabinet! Good thing he brought a yummy treat of hot chocolate for us to enjoy! His kindness challenge is a favorite in our house - to put together a cocoa basket for a friend or neighbor and then ding dong ditch them! Day Two was completed with lots of giggling and a few squeals but thankfully they didn't get caught! Day Three - Looks like even the elves are crazy about Adele's new song! 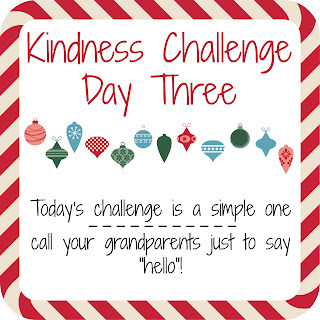 Today's challenge: call your grandparents just to say "hello"! This one hasn't been completed yet. Mike's parents live in California and the two hour time difference has been an issue this week with all our evening activities. We'll definitely make sure we call them this weekend! Day Four - Fri-YAY! Friday nights are the best nights for movie nights! 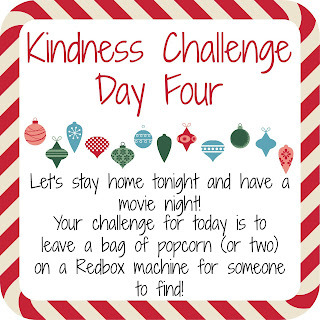 Waldo's Kindness Challenge was to leave a bag (or two) or popcorn on a Redbox machine for someone to find that might be having their own movie night! I edited this card to replace the Friday reference with a generic night. Day Four complete! I would love to tell you that we complete our challenge each day but, truth is, we get behind and we play catch up! This was a few days later but we still completed it! Day Five - Waldo has a girlfriend, Joy. She has a really important job so she only visits us on the weekends! 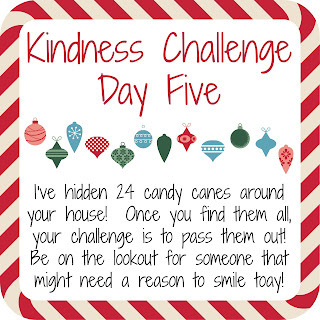 ;) They hid candy canes all around our house and challenged the kiddos to find them and then hand them out to strangers. They also reminded them to be on the lookout for someone that might need a reason to smile. Day Five complete! Admittedly, this is probably one of their least favorite things to do. It's WAY out of their comfort zone to walk up to a stranger and offer them something. I completely get it! People are skeptical and wonder what you want in return. But, thankfully, most of the times, skepticism turns to smiles. Being kind isn't always easy, but it's always worth it! So proud of the girls - they handed out more than 20 candy canes over the last few days. Be sure to check back soon for more updates on Waldo's Kindness Challenge! 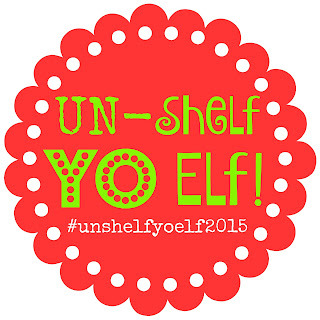 AND, Shelly and I have so much fun with our elves that we created our own little hashtag - #unshelfyoelf2015! ;) We would love for you to join us! Simply tag your elf pictures! There are so, so, SO many awesome elves out there!!! Hope you have a wonderful day and a weekend filled with your FAVORITE things! So awesome Holly. Although our Hazel, between her drinking episodes and getting into trouble, sharing kindness hasn't been her thing. It is my first year after all doing this elf stuff. My plan is to use this in my classroom next year and I'm filing these away to use with my students. This is Waldo's 6th year with us. He's just hid, he's done crazy stuff, he's done normal stuff, and now he's giving us a challenge. I love that your elf can be whatever you want it to be. That's what makes it so much fun to me! Love seeing Hazel have fun with your grands! Such a special time! Pinning and sharing this July for fun ideas in the next few months. 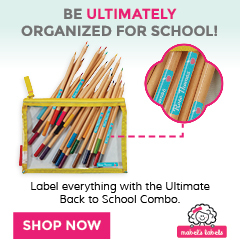 Thank you, Michelle! Much appreciated! Yay!!!! So glad you shared this! I had been meaning to ask you about them. Ah! Thanks, Keri! It's been on my radar - just finding the time to do it was proving difficult! 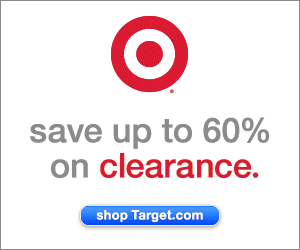 Every mom out there completely understands that problem this time of year! Thanks so much for stopping by! Hope you have a great weekend! I LOVE this and have actually thought about doing the same with our elf. Great job, momma!! Thank you, Briana! It's so much more fun when they start talking about what they can do for others versus what they want, want, want! So glad you stopped by! Have a super weekend! Absolutely! Glad you liked them! Share with me if you use any of the ideas! I'm glad you stopped by - have a great weekend! I don't get the whole Elf on Shelf thing- Mainly because I don't have small kids at home anymore but I am sure when I have grandkids, I will see the excitement about it! 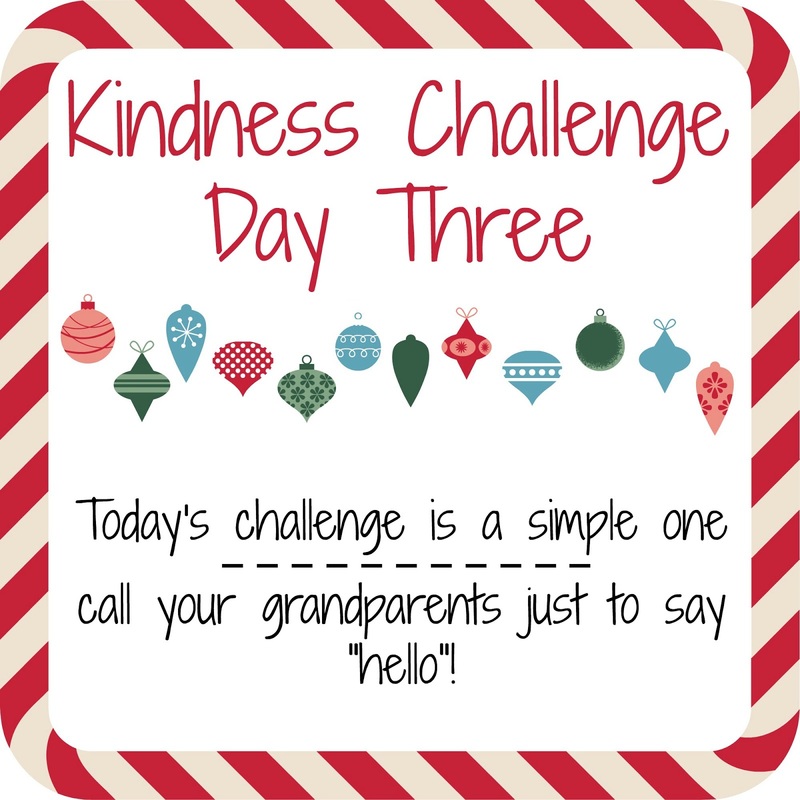 With that being said - I LOVE how you have incorporated the elf in your family and made it something special about being kind!! Haha, Kim! I'm sure it seems a little bizarre (and a little creepy!) if you don't have kids. My girls LOVE Waldo and that's enough for me! Waldo has been with us 6 years so he has to come up with new ways to "hide". We did an advent calendar a few years ago with different acts of kindness and I was glad to merge the two traditions this year. 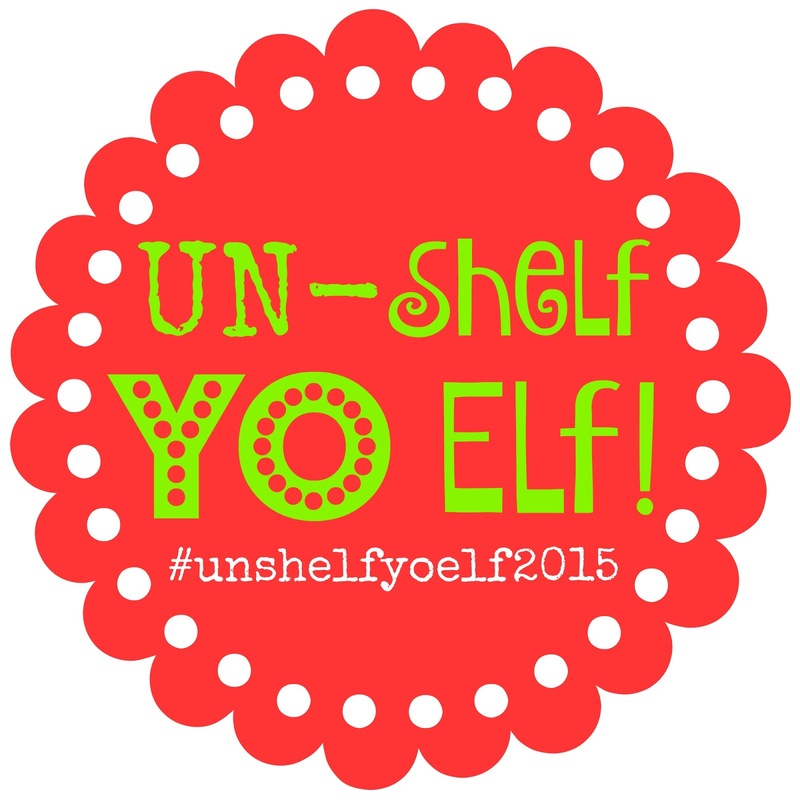 I love this idea for the Elf on the Shelf to do! I wish I had little kiddos at home so I could do this with them. I'm going to share this idea with my daughter and DILs. Thank you! Waldo has been with us for 6 years so he needed something new this year! ;) Thanks so much for sharing! I love this idea so much!!! I've always been so skeptical of the elf of the shelf, but this idea is great! It turns the focus from self to others! so great! And I just found your blog and love it! I think the Elf on the Shelf has gotten a bad rap but the way he is portrayed is completely up to the family! If you want him to concentrate on your kiddos behavior and report bad things to Santa. Or, you can have an Elf that leaves messes wherever he goes. 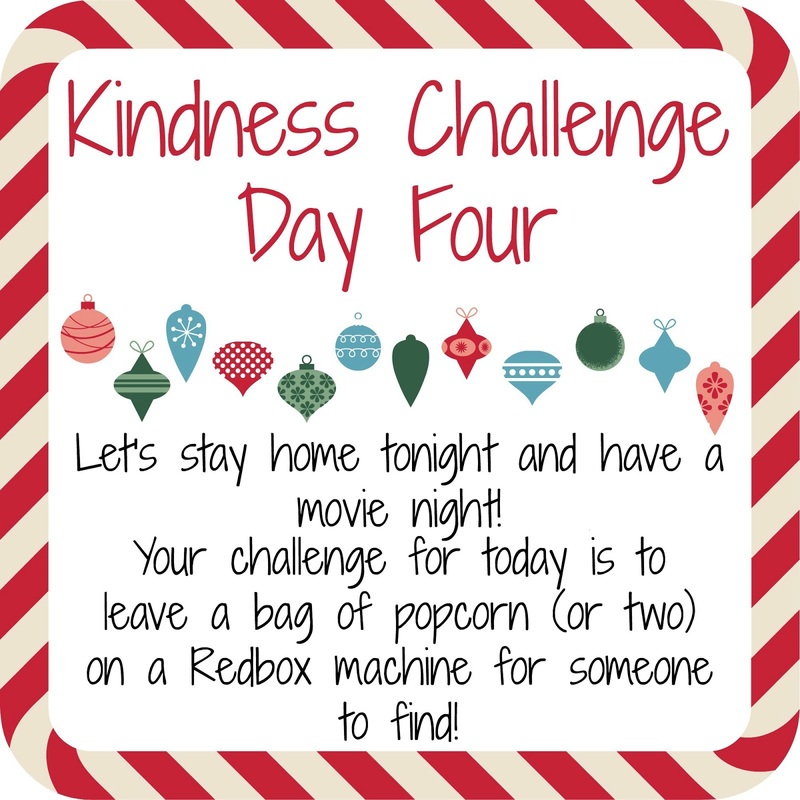 As for us, we love to have fun with him and the Kindness Challenge this year was just what I had been looking for! I'm so glad you found me! Welcome!!! This is so sweet!! Thank you for sharing with us at #MMBH!! Thank you!!! We love Waldo! Thanks so much for hosting! I'm so glad you liked it, Laci! 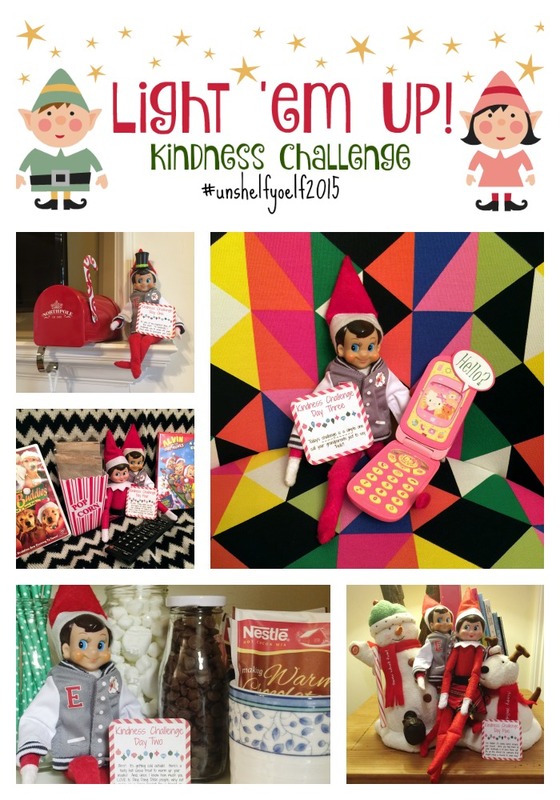 Our elf has been with us for six years so he is always looking for new and different things to do! Thanks so much for stopping by!